NEW YORK (CBS) "Glee" is adding another male star to its cast of characters. Actor-singer-songwriter Darren Criss, best known for his roles on "Eastwick" and in "A Very Potter Musical," has landed a role on the show. 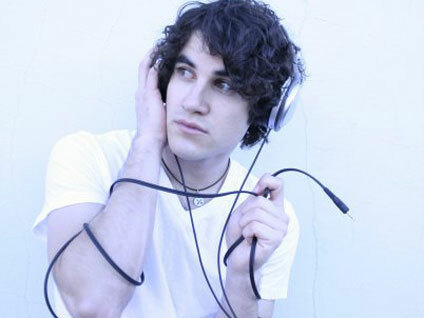 Criss will play Blaine, a gay student who transfers from a rival glee club called the Dalton Academy Warblers. But will his character become a romantic interest for Kurt (Chris Colfer)? A "Glee" source told Entertainment Weekly that Blaine and Kurt will remain strictly platonic, but that things could change as the season progresses. Ever since creator Ryan Murphy announced that Kurt would be getting a boyfriend this season, speculation has run rampant as to who he would be. When new student Sam (Chord Overstreet) showed up in the season premiere, some thought he would be the one to win Kurt's heart. But Colfer shot that theory down when he told EW that there's no sign of romantic tension between his character and Overstreet's in the first four episodes. "Maybe it is too obvious," he theorized of the Sam-Kurt connection. "Our writers have a way of avoiding the obvious and throwing curveballs."